Back in the summer, Google announced that it would penalise web sites with ‘intrusive intersitials’ from 10 January 2017. It is updating the algorithms used to rank its search results so that offending pages are more likely to get lower placings. 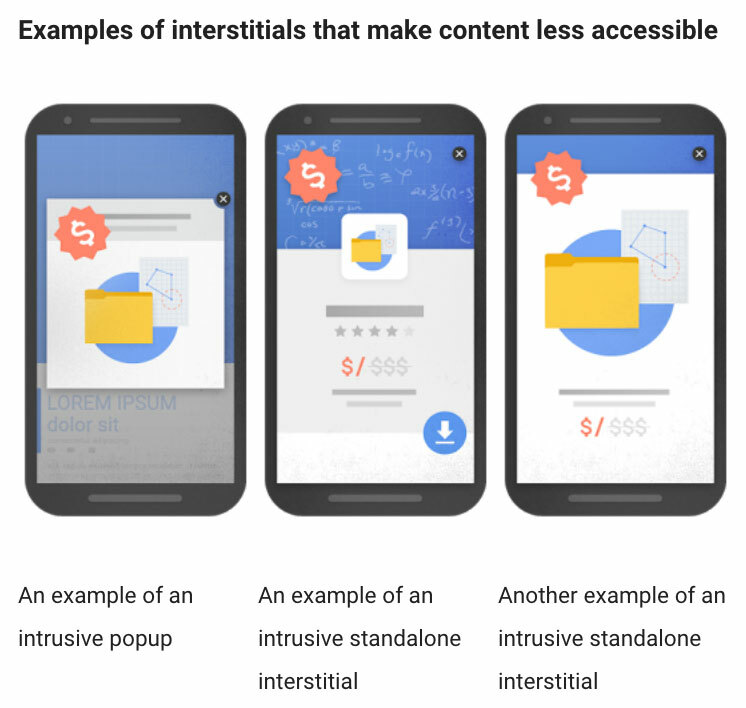 So, what exactly are ‘intrusive intersitials’? Interstitials are the web pages that show up before or after an expected content page, usually as a pop-up or full-screen advertisement. They usually display ads or opt-in forms. Interstitials are considered a form of interruption marketing. Google said the move should make using some of its results less frustrating. 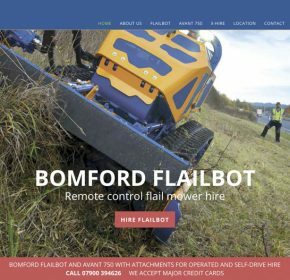 “Pages that show intrusive interstitials [elements that cover the content] provide a poorer experience to users than other pages where content is immediately accessible. This can be problematic on mobile devices where screens are often smaller.” Read the blog here. With over 70% of internet use coming via mobile devices, this is something which a site owner should not ignore. Which pop-ups will be affected? Which pop-ups will not be affected? Log-in dialogs on sites where content is not publicly indexable. For example, this would include private content such as email or unindexable content that is behind a paywall. So, why is this such a problem? One of the problems with pop-ups is the fact that Google can still read and index the content of the page. Except the visitor can’t read it as soon as they arrive because there’s an interstitial in the way. While most popups have a ‘No thanks’ option, or an X to get rid of them, they’re still a barrier to the content. They can be annoying on a desktop computer, but even more so on a small mobile screen. 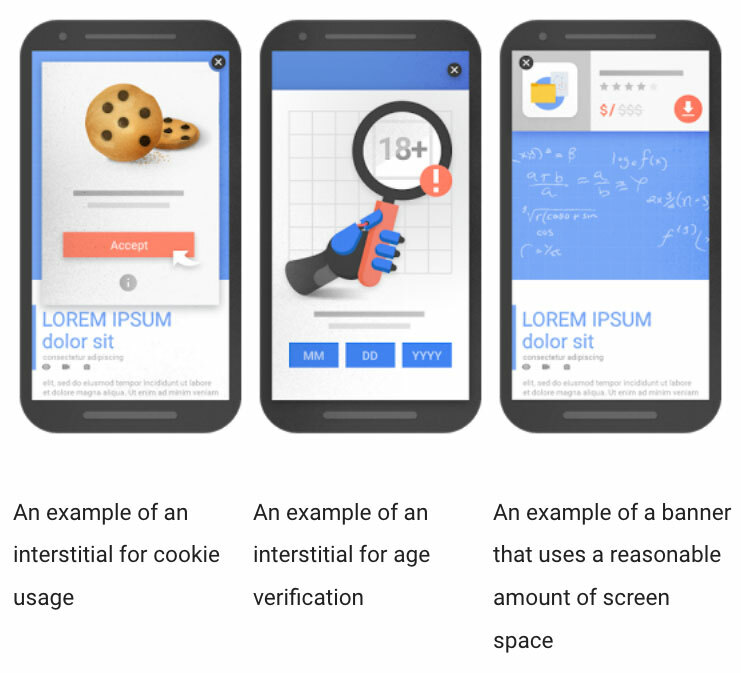 How to solve the issues with ‘intrusive intersitials’? Simple really – get rid of them or adjust how they load or display. If you use pop-ups to gain subscribers, then you’ll want to keep using them in some way. For a standard pop-up make sure there’s a setting that allows pop-ups to be turned off on mobile devices. Then there is the ‘two step pop-up’. Simply add a call-to-action on the page or post. Only the visitors who click on it will see the pop-up. There is another alternative, in the form of the scroll box. The box only appears once the visitor has read a certain percentage of the content, by which point they’re more likely to subscribe because (hopefully) they like what they’ve read. Keeping sign-up forms on the site in the post footer or throughout the content will be the best way to make sure you keep getting subscribers from mobile devices.